Trust in Our Experience & Expertise. We are part of the 6% of brokers worldwide that have earned the elite CCIM designation. Founded in 1991, Fesette Commercial offers commercial real estate sales, leasing, development and property management throughout Clinton County. Our mission is to provide our clients with the highest level of professional and personalized service, while creating value and delivering results. As the only broker in the region to hold prestigious CCIM (Certified Commercial Investment Member) and CPM (Certified Property Manager) designations, Fesette Commercial is well positioned to meet the diverse needs of private investors, business owners, and regional/national developers. Profit from our full range of brokerage services. We assist with all types of commercial real estate: office, retail, industrial, multifamily, and land. 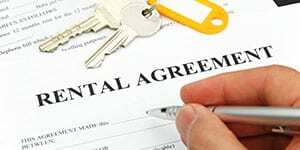 Trust your property with a Certified Property Manager (CPM). We offer continuous and thorough attention to your asset(s). Find the ideal site for your project. We provide consultation services to developers and assist in property acquisition.